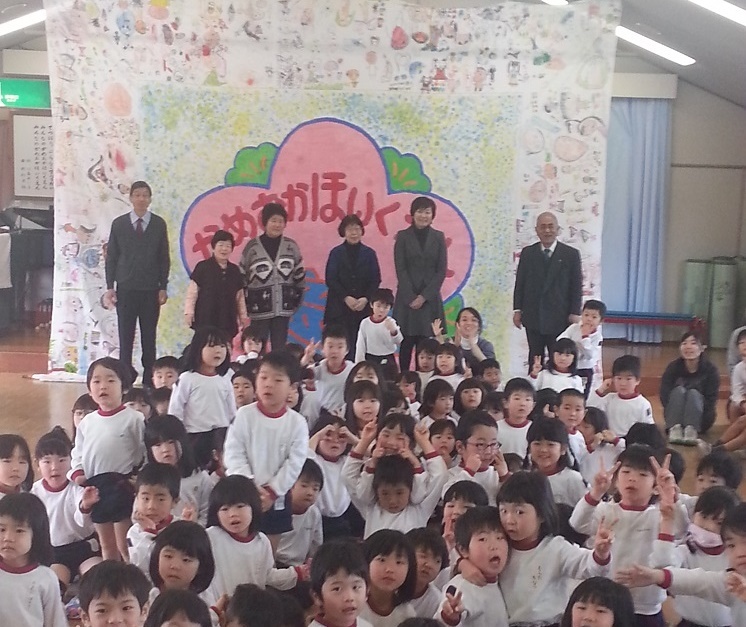 Japanese First lady madam Akie Abe visited Kameoka kindergarten in Kyoto. President of EIP accompanied her. 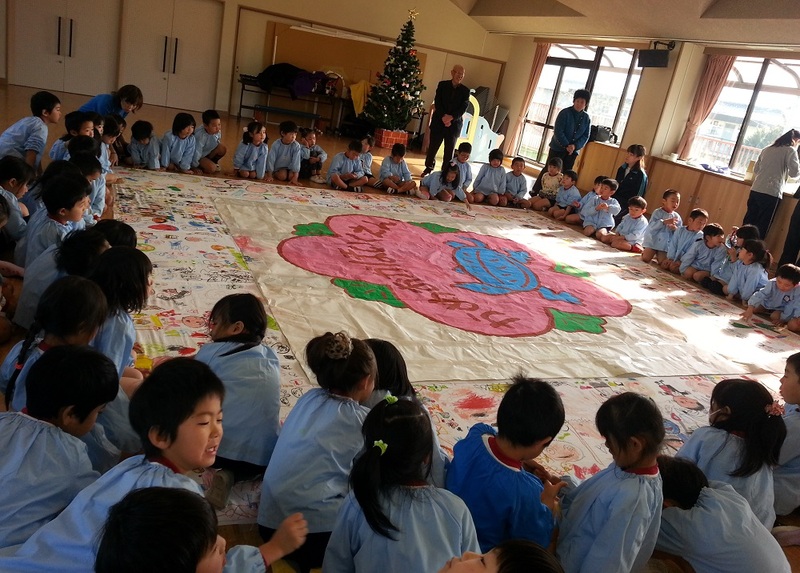 The Biggest Painting in the World 2020 in Kameoka was completed at Kameoka Nursery School in Kyoto Prefecture, for which a great celebration was held. It was a pity I could not attend it. 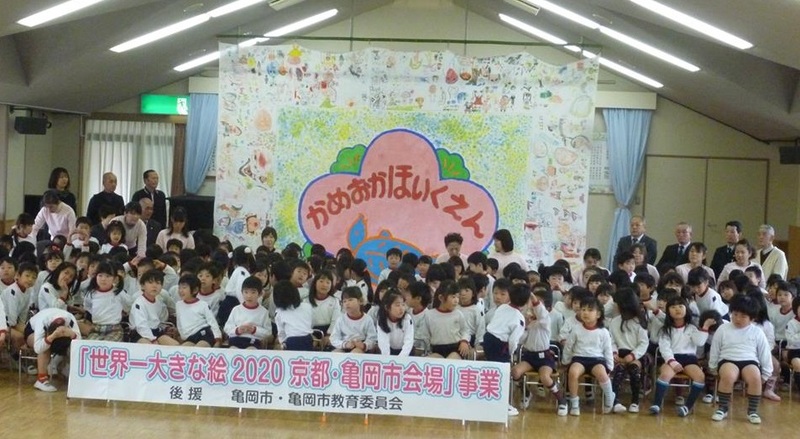 Our hearty thanks to Mr. Masato Deguchi, the present and the former directors of the nursery school for their kind cooperation. 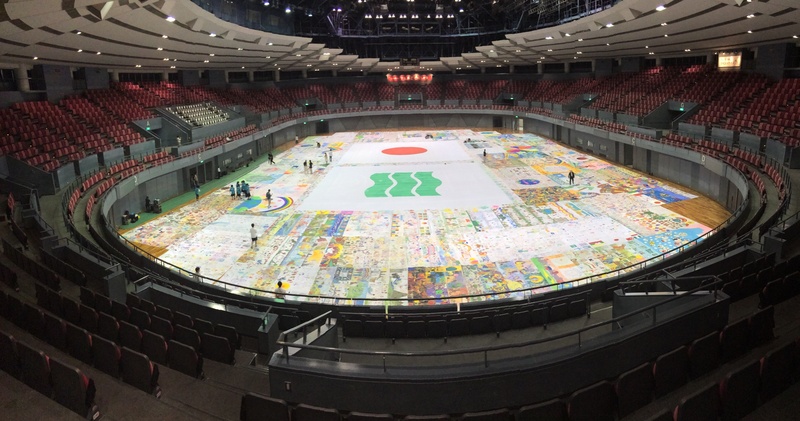 A part of the Biggest Painting in the World 2020 in Kameoka was painted at Kameoka Nursery School, in Kameoka City, Kyoto Prefecture. It will be completed in January adding their school emblem in the center now painted on paper.